Platelet Rich Plasma, or PRP, is an innovative new therapy available from Pacific Pain Clinic in Irvine, California. This therapy is a minimally-invasive option for patients dealing with pain related to an injury. Dr. Sedaghat serves patients throughout Orange County, from cities such as Costa Mesa, Newport Beach, Huntington Beach and Santa Ana. PRP therapy is a non-surgical treatment option for patients who are experiencing pain because of an injury. During this procedure, the doctor collects the patient’s blood and uses a centrifuge machine to separate the platelet-rich plasma from the rest of the blood. The doctor injects this concentrated solution of platelets at the site of the injury or pain in order to promote healing. When part of the body is injured, it delivers platelets to the area to repair the damage. These platelets release substances that promote healing by stimulating blood flow and encouraging the reproduction of stem cells. By increasing the number of platelets at the site of the injury, doctors can speed up the healing process and reduce associated pain. In some cases, PRP may be repeated if the desired result isn't achieved. However, some patients will experience relief after only one treatment session. The entire PRP procedure is usually completed within a couple hours. No general anesthesia or hospital admission is required during these procedures, and recovery is quick. In most cases, patients are able to return to their normal activities shortly after the procedure is complete. Because the patient's own blood is used during PRP therapy, the side effects are minimal. However, patients may experience mild pain, swelling, or bruising at the injection site. PRP may be beneficial anytime a patient is experiencing pain because of an injury. Some of the most common conditions treated with PRP include musculoskeletal injuries and joint pain. 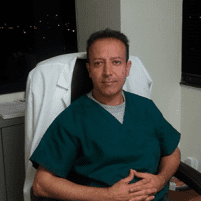 Dr. Sedaghat can determine whether PRP is the right option after examining the patient, discussing treatment goals, and collecting other information. In some cases, PRP may be used in conjunction with other treatment protocols designed to promote healing and/or relieve pain.